ca 425 - 401 B.C. Detail of two Nereids from a painting depicting the delivery of the armour of Achilles. 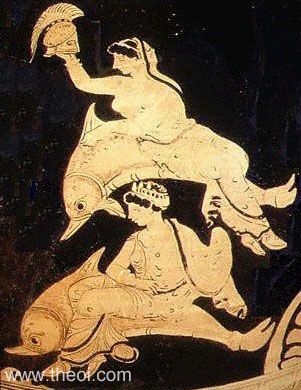 The nymphs ride side-saddle on the backs of dolphins and one bears the hero's helm.